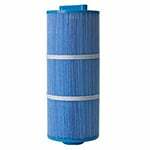 Saratoga Pool and Spa offers filters that fit in filtration systems to suit your water purification needs. 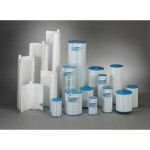 Saratoga Pool and Spa offers filters that fit in filtration systems to suit your water purification needs. Filters Fast carries products compatible with Saratoga, along with many other brands, on our website. 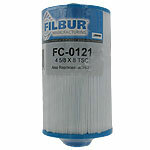 The Filbur FC-0121 Pool and Spa Filter replaces the Unicel 4CH-21 and the Pleatco PTL18P. It is also known as FC0121, 4CH21, 20245-238, PVT-25N, PTL 18, PSN50 W/ PAD AD and PTL18 W/ PAD. 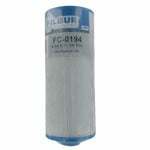 The Filbur FC-0194 Saratoga Pool and Spa Filter replaces Pleatco PSG 27.5 (PSG27.5). 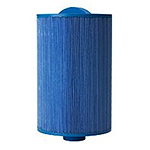 Filbur Pool and Spa filters are made of Reemay spunbound polyester pleated filter media with thermally-bonded polyurethane caps. 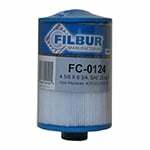 The Filbur FC-0124 Pool and Spa Filter replaces the Unicel 4CH-920 and Pleatco PSG13.5. It is also known as FC0124 and 4CH920.